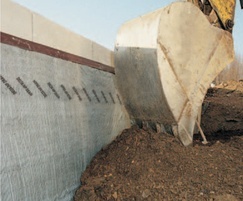 DELTA®-NP two-ply composite sheet drainage membranes are made from high density polyethylene. They have a high compressive strength and offer drainage and waterproofing for vertical and horiztonal appilications. 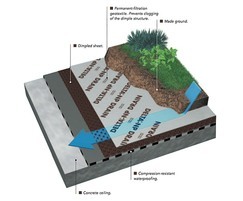 DELTA®-NP memebranes are comprised of a dimpled sheet that prevents water logging and a geotextile layer that filters out fine soil particles to prevent blockages. 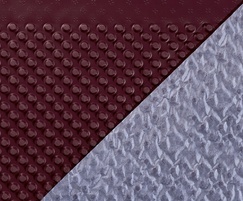 It is rot-proof, impact-resistant and will not warp or deform.